We make the Party, We make the Difference!" Houston! Come celebrate with us as we host our 4th Annual Cinco De Mayo Festival. Live performances by some of the City’s Top Latin DJ’s and artists. 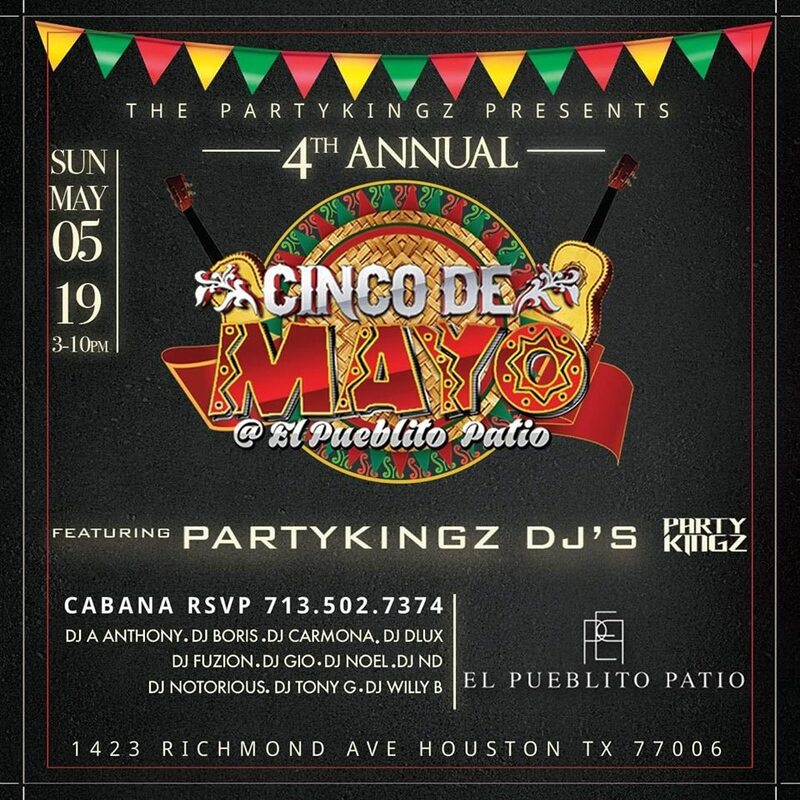 Currently, there are 999 "Cinco De Mayo Fest W/ The Partykingz" ($10.00) available for purchase.